We know that the world wide web is continuously evolving at a rapid rate. So much so that it can be hard to keep up with all the changes to algorithms and search engine optimisation. 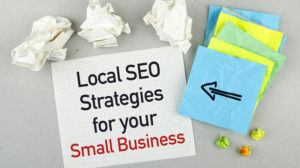 It is vital to keep your website as secure as possible, for not only your web business but also for your website visitors who are becoming savvier than ever before at spotting which websites are protecting them and which are not; particularly now with the help of Google in naming and shaming the businesses without the standard protection in the address bar. This is where the SSL certificate comes in! An SSL (secure socket layer) certificate is a digital certificate that validates the identity of a secure website. The protocol in which the data is sent between your browser and the website you are connected to is HTTP (hypertext transfer protocol) – and when it is combined with the SSL it becomes HTTPS (hypertext transfer protocol secure) meaning that the data being sent is secured and safe to the user. The way that HTTPS/SSL secures the online data is by encrypting all the communications between the browser and the website. Why Is Having An SSL Certificate Vital? Having the SSL certificate is vital for your website’s security as mentioned earlier. However, despite the obvious benefits, many businesses still have not acquired an SSL certificate for their website. This is quite surprising since 74% of businesses say that cyber security is a high priority. 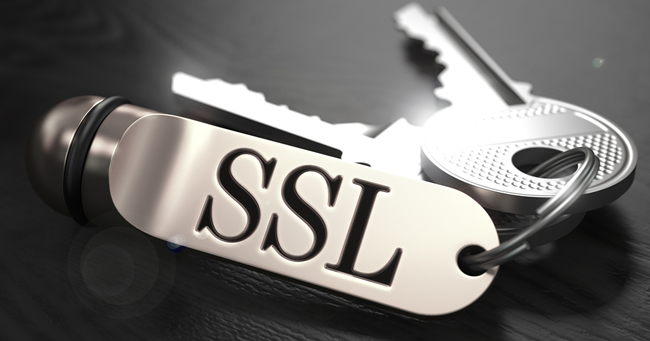 What Are The Benefits Of Having An SSL Certificate? 1. SSL protects data – Having the SSL certificate is paramount for all digital businesses, even more so for businesses that keep important customer data such as payment details or emails and addresses. You as a business owner or webmaster are responsible for protecting your visitors’ data, whether it’s their name, payment details, or personal preferences etc. According to the GOV.UK Cyber Security Breaches Survey 2018, 43% of UK businesses have experienced a cyber security breach or attack in the last 12 months. This statistic just goes to show why website security should be taken seriously. Fortunately, an SSL certificate can protect your data as every bit of information is encrypted so that only the intended receiver can unlock and have access to this information. 2. SSL provides authentication – The internet can be a very misleading place, with fraudulent websites getting more and more cunning. However, SSL certificates are helping to battle this by providing authentication to real and trustworthy websites. To be able to obtain an SSL certificate, you first must go through a validation process to verify your identity using a third-party CA (certificate authority). The identity verification process ensures your protection from impersonation, so no one creates a fake website pretending to be yours. Not only are you protecting yourself, but you are also saving website visitors from frauds which will consequently enhance your reputation. 3. 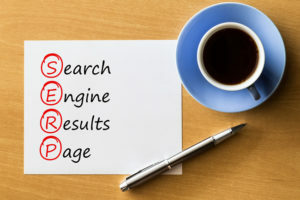 Better SEO – Everyone wants their website and its pages to rank as high as possible in the search engine results page (SERPs), so working on improving your SEO is necessary to get there. 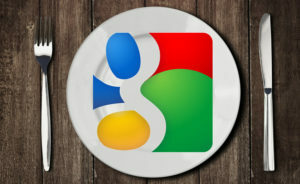 Changes in Google’s algorithm has focused on the security and authentication of websites. In fact, Google has recently introduced HTTPS as a ranking factor, therefore giving HTTPS enabled websites the advantage over competitors without a secure website. And although the ranking boost may not be substantial, it is still one step closer to where you want to be in the results page – higher than your competitor! 4. Enhances customer trust – One of the most significant benefits of having an SSL certificate is that it helps build and retain customer trust. Website visitors want to know that your website is safe for them to use. So how will visitors know that your website is secured by an SSL certificate? The answer is trust indicators. Google has started labelling websites without SSL certificates ‘not secure’ to warn users of the risks in the browser bar on the top left-hand side. And websites that are secure show ‘https’ in the URL with a padlock icon, which means they are secure. No matter how big and credible your business is, if you were to experience data breach in which your website visitors’ information was at risk, this could well damage your reputation. 5. Improves conversion rates – Another great benefit of getting an SSL certificate is that it helps improve your conversion rate (CVR). This goes together with the point that having an SSL certificate builds customers trust; a visitor is far more likely to convert into a customer if they trust you. It’s not rocket science understanding that a site clearly labelled ‘not secure’ will deter visitors from giving you their personal information or making a purchase. Ultimately, once a visitor knows that you are legitimate, and you can be trusted, they are far more likely to do business with you and even revisit your site and purchase. Talk to us about SSL and Exeter Web Design.